There are several quintessential firsts in your life that you never forget. These include the time you get behind the wheel of your first car, the moment you move into your own place, and the first time you take a long drag off a smooth cigar in a Dallas gentlemen’s club. The key to enjoying a cigar is knowing what to look for so that the first smoke doesn’t turn you green. 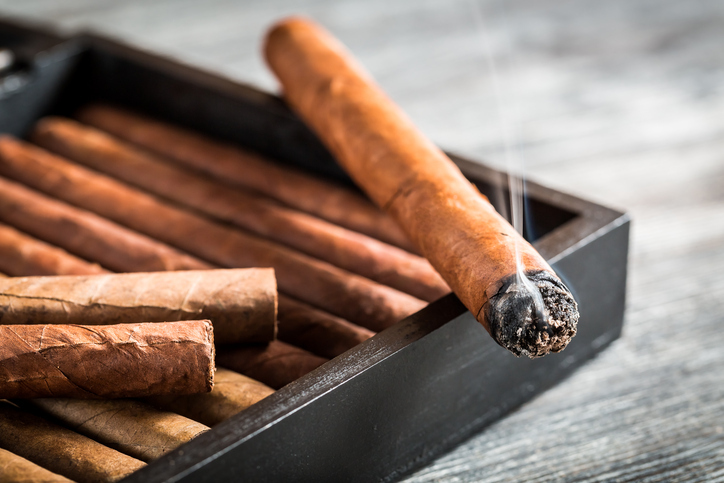 When you are choosing a cigar for a guy’s night out, the following are some tips you will want to tuck into your memory. Start by looking at the established brands with a solid reputation. The reputations of producers like Arturo Fuente, Paragas, Macanudo and Don Thomas exist because these companies utilize high-quality tobacco that translates into a high-quality cigar. When you are researching cigars, pay little attention to the number ratings. As with wine, focus on the flavor profile and information about the construction and smoker’s experience with the cigar, as these will give you a better idea of whether it’s a good cigar for you. The larger the cigar, the longer it takes to finish, so make sure you have enough time to relax and enjoy it. A cigar with a larger ring gauge will usually light slowly and deliver a smooth, full-bodied smoke, while a cigar with a smaller gauge will light quickly and burn faster, delivering a spicier, coarser flavor. Get a good feel for how the cigar will smoke. First, examine the body for a rough texture or evidence of sloppy construction. Look closely for dry, flaky tobacco, as well as spots and discolorations that can be signs of moisture damage. Then run your fingers along the body, feeling for soft spots and voids. The cigar should feel smooth and even. Don’t consider price when choosing a cigar from the gentlemen’s club humidor. Pricier options may not suit your tastes, while less expensive options may fit it perfectly, and vice versa. The secret to choosing the best cigar for a guy’s night out is choosing the one that strikes a balance between your time, taste and the experience you desire. Baby Dolls’ Dallas gentlemen’s club has a full selection of the world’s finest cigars for you to choose from. We’ll be happy to help you make your choice and enjoy a perfect evening with your closest friends.